By Malcolm M. Willey, Ph.D. 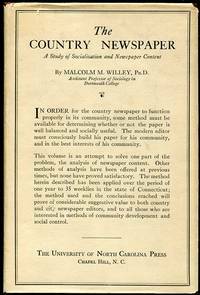 The University of North Carolina Press, 1926. Cloth. Fine/Near Fine. 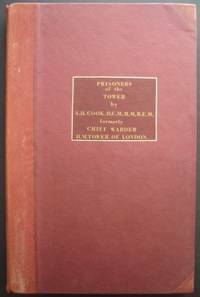 The 1926 1st edition. Clean and Fine in a bright, Near Fine dustjacket, with just a touch of wear along the tips and the spine crown. Octavo, 153 pgs. Moscow: Co-operative Publishing Society of Foreign Workers in the U.S.S.R., 1935. Cloth. Collectible; Very Good/Very Good. The 1935 1st Russian edition (with English text though) of this influential proletarian novel born of the American class struggle of the 30s and the Great Depression. Solid and VG in its beige cloth, with very light soiling at the panels. And in a bright, VG example of the fragile pictorial dustjacket, with mild darkening --and chipping-- to the spine, light wear along the flap-folds and light soiling to the rear panel. Still though, very presentable. 12mo, 371 pgs. New York: Coward-McCann, Inc, 1966. cloth. Collectible; Very Good/Very Good. 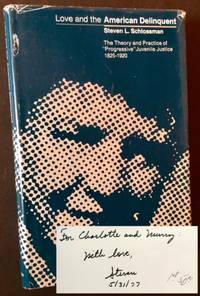 A solid copy of the 1966 stated 1st American edition. Clean and VG (with a slight lean to the binding) in a bright, price-intact, VG dustjacket, with very light wear along the spine ends and the tips. Octavo, 255 pgs. Washington: Government Printing Office, 1919. 1st. Original Wraps. Collectible; Very Good. The 1919 1st edition of this study of Illegitimacy Laws of the U.S., sponsored by the Children's Bureau of the U.S. Department of Labor. Solid and VG in its light-green wrappers, with very light soiling to the wrappers and one very small tear at the foot of the spine. Octavo, 260 pgs. New York: Friendship Press, 1929. 1st. Cloth. Collectible; Very Good. 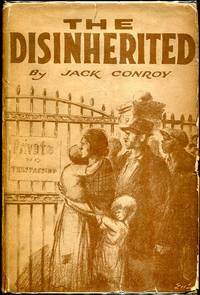 The 1929 1st edition. Bright and VG in its duotone cloth, with very light tanning along the panel edges. Small former owner name at the front free endpaper, otherwise very clean. 12mo, 143 pgs. Princeton University Press, 1944. 1st. Cloth. Collectible; Fine/Very Good. 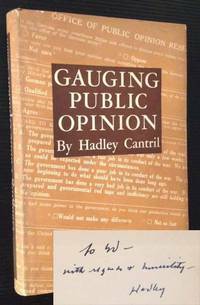 INSCRIBED BY HADLEY CANTRIL on the front free endpaper. A crisp, well-preserved copy to boot of the 1944 1st edition. Near Fine in a bright, price-intact, VG+ dustjacket, with very light soiling to the rear panel. Octavo, 318 pgs. Signed by Author. University of Chicago Press, 1977. 1st. Cloth. Collectible; Fine/Very Good. INSCRIBED BY THE AUTHOR IN YEAR-OF-PUBLICATION on the half-title. A solid copy to boot of the 1977 1st edition. Tight and Near Fine in a bright, VG dustjacket, with very light creasing along the spine crown and tips. Octavo, 303 pgs. Signed by Author. London: Robert Hale & Co, 1970. 1st. Cloth. Collectible; Very Good/Very Good. 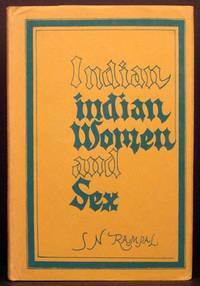 A very solid copy of the 1970 1st edition. Tight and VG+ in a bright, price-intact, VG+ dustjacket, with very light creasing along the front panel's upper edges. Octavo, 223 pgs. New York: Spectrum Publications, 1977. 1st. Cloth. Collectible; Fine/Fine. The 1977 1st edition. Fine in a bright, Near Fine dustjacket. Octavo, 126 pgs. New York: Ace Books, 1957. 1st. Original Wraps. Collectible; Very Good. "Days and Nights of a Juvenile Delinquent". 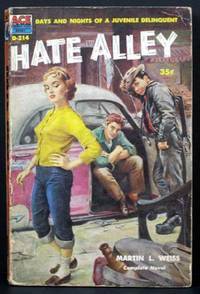 1957 1st edition of this uncommon "JD" paperback. Bright and clean and VG in its original lurid wrappers. Light creasing at the spine, very light creasing at the panel corners and very light soiling to the rear panel. A very presentable copy of this fragile pocketbook. New Delhi: Printox, 1978. 1st. Cloth. Collectible; Very Good/Fine. A crisp, clean copy of the 1978 1st edition. Tight and VG+ in a bright, price-intact, Near Fine dustjacket. Occtavo, 192 pgs.